The YI Corner will contain blog posts by the most recent class of Young Investigators. Here, YIs will write about their personal experiences with the YI program, research they are conducting, and other relevant topics. Research is shedding light on a distinct subgroup of antisocial youth who show severe and stable patterns of aggression. How Does the Brain Regulate Our Anger? A set of studies provides a novel understanding of how the human brain processes and regulates angry experiences and expressions. A model that helps us understand sexual violence dynamics and an empirical study with male youth who were victims of sexual violence that provides evidence for this model. Difficulties controlling feelings of anger and aggressive impulses are key characteristics of adult patients with borderline personality disorder. But what role does aggression play in adolescence and what is its neural basis? On research concerning the relationship between Western cultural sexualization, female agency, and sexual aggression; the biological and social psychological forces giving rise to women’s agency and sexual openness; and how behavior, attitudes, and culture associated with gender are influenced by the interplay between biological and economic forces. 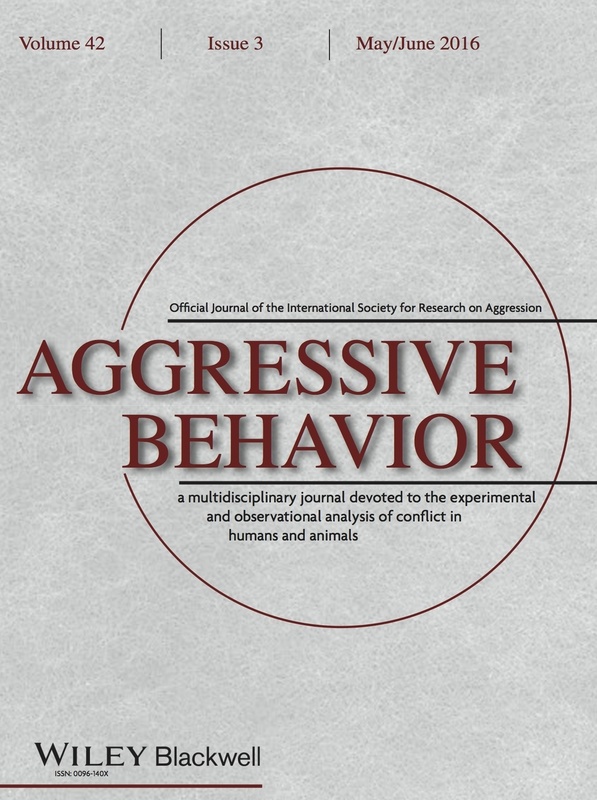 Two aspects that make studying animal aggression intriguing are the ease with which it is possible to elicit aggression and the unpredictability of the course and outcome of this aggression.